GE Intelligent Platforms introduces the Wolverine III rugged flat panel computers designed specifically for deployment in harsh, hazardous (Hazloc) environments. Patented technology and complete redesign combine to give the Wolverine III high performance and reliability as well as improved serviceability, making the flat panels suitable for application in oil and gas exploration and drilling where salt, spray, dust, shock, vibration and temperature extremes create challenging environments. 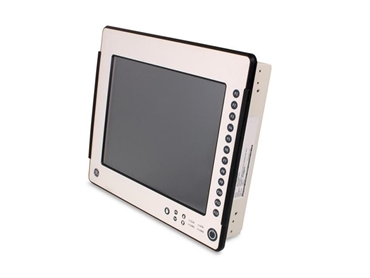 Wolverine III rugged flat panel computers are used for data gathering and control or operation of sophisticated equipment. The redesigned flat panel computers deliver significantly higher performance, reliability and maintainability while weighing substantially less than the predecessor models. According to Tom Behnke, Product Manager, Systems and Displays at GE Intelligent Platforms, Wolverine III rugged flat panel computers are easy to service in a minimum amount of time, meeting the requirements of professionals working in hazardous, harsh locations such as oil platforms who need rugged reliability and ease of maintenance of equipment.